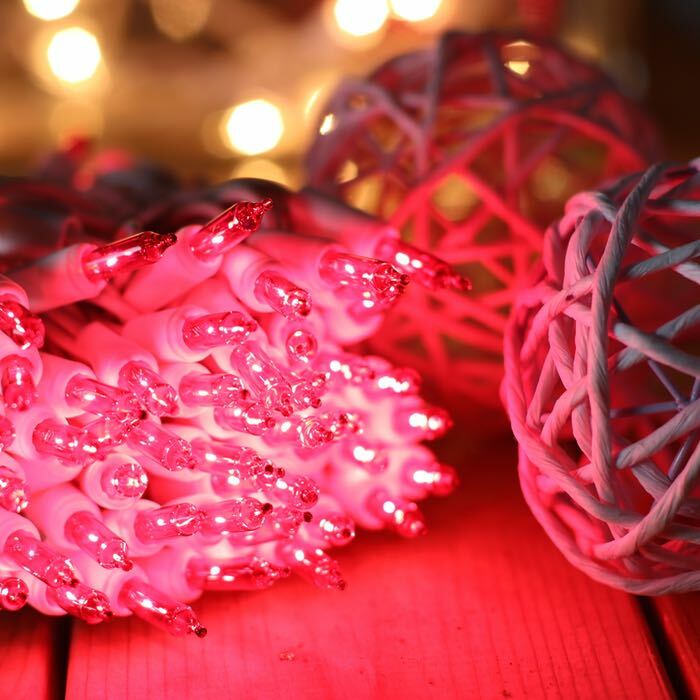 Pink Christmas lights are a versatile choice when purchasing lights. Not only are they a great color choice for your tree, they can be used in multiple ways over the course of your year. Beginning in February, use them to decorate your Valentine's Day event. 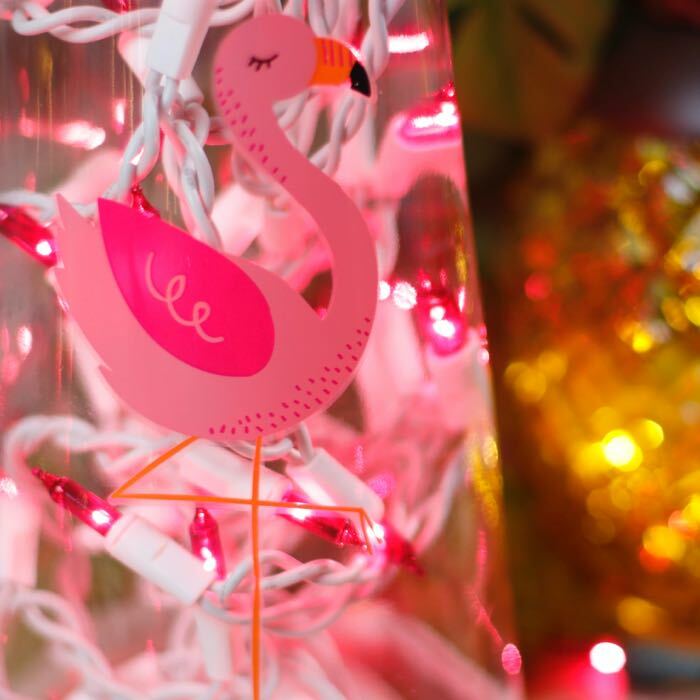 Love will be in the air when you brighten up the room with these beautiful pink lights. Having a 1950's sock hop dance? Combine these lights with our teal mini-lights and your guests will be ready to dance the night away! Your little princess will be delighted to have her very own Christmas tree of pink lights. Bring the lights out again for her sparkly and shiny princess birthday sleepover. The 2.5-inch spacing between bulbs provides maximum lighting for your tree or yard sculpture. Q: Do these mini lights blink? Or are they a steady glow? A: These lights are steady glow. Q: R these a soft pink or bright pink? A: These are not a pastel pink but a rich magenta pink. Hope that helps! Q: Where do you sell the replacement bulbs for this string of lights? A: We don't sell replacement bulbs separately but we do include a couple of replacement bulbs with each string of lights. Be sure to collect, label and keep them handy. If you anticipate a high level of breakage in your application, you might consider purchasing an extra string of lights for replacements. In normal use, when a high number of bulbs burn out, it indicates that your light string is nearing the end of its life expectancy.